for some of her little friends a couple of weeks ago. 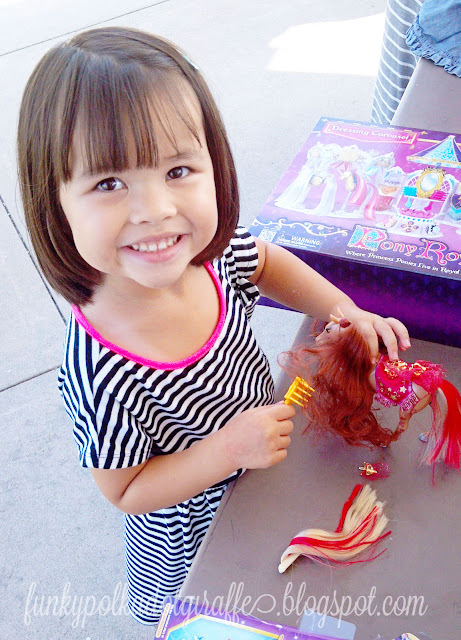 Isabella was so excited to share one of her favorite toys with her friends. 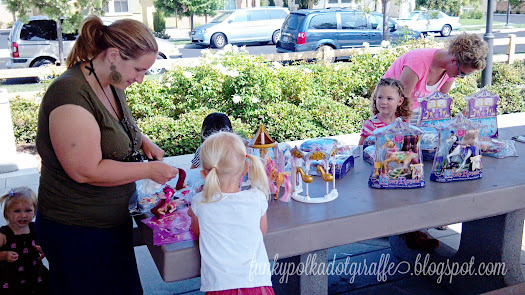 the little girls to take two ponies home with them. 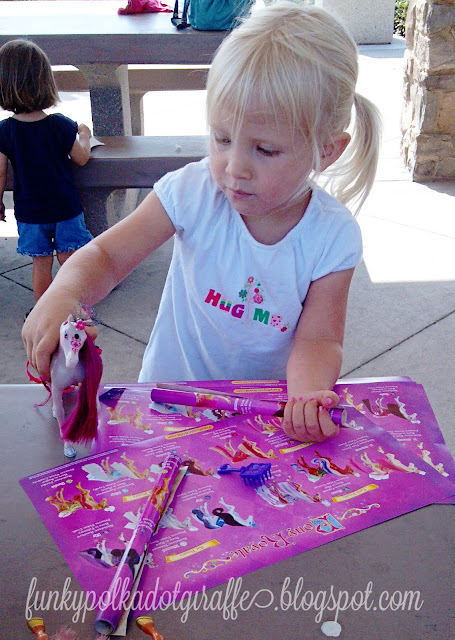 two ponies that she wanted to take home to live with her. They were all so excited! After choosing their ponies, each little girl got to playing! the manes, tails, crowns, saddles, and other accessories. for playing "dress up" with your ponies. and let your ponies admire themselves in the mirror. and has a little story behind their personality. helps aid the pretend play. Even the mommies love them! 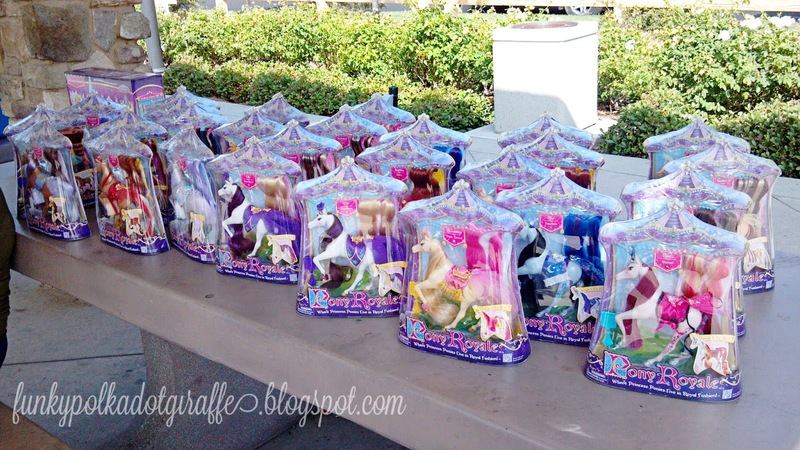 "Thanks so much for inviting us and for the awesome Ponies Royale. Love them!" them more than any of their other toys. follow them on Twitter, or like them on Facebook. They are available online and in select stores. 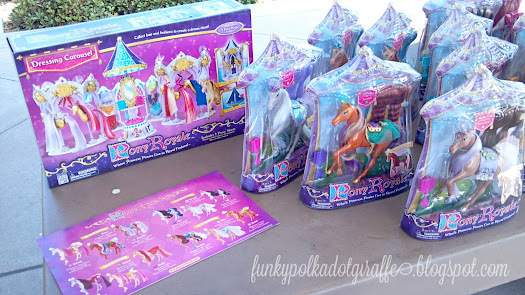 Disclosure: I was sent the ponies from Pony Royale for review and to host a party for Isabella's friends. 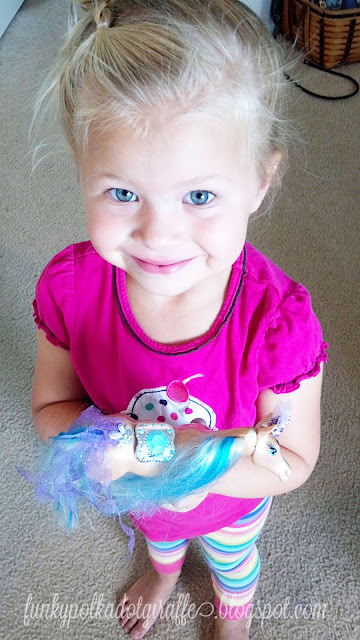 I am sharing my experience with you because Isabella and I love the ponies! All the thoughts & opinions are mine. This is why I need a girl! Lol how fun!